Unlike used car versus new cars the decision to buy a resale versus new construction in Real Estate is a tougher decision. 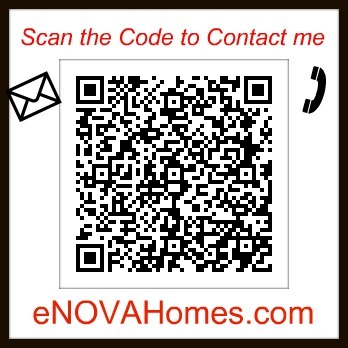 Buyers always battle with the questions about what is best new construction or a resale home especially in Loudoun & Prince William County in Northern Virginia area where we have so much new constructions going on. 1. Buyer gets to choose what they want including home site, neighborhood, interior options, structural options and floor plan. Buyers get thrilled about the home buying process and seeing their dream come true. 2. Since th e construction of new home takes about 5-8 months it gives buyers time to save up additional funds either towards a larger down payment or decorate their home once they move in. 3. Future resale value. Your home will be newer compared to existing homes that may have aged. Also your home will have more modern flare than older homes in the area. 4. Peace of mind....no anxiety of fixing the home or running into unknown repairs. A new home comes with builder backed warranty and all new appliances with their warranties. 5. Energy efficient. More and more builders are building homes with extra energy efficient products that may help the new home buyers with large savings in their bill. 2. Builder's contract favor builder. Their contracts are drafted by their attorneys and protect the builder over the consumer.. Example if any delay occurs builder has typically 2 years to construct the home so you cannot hold the builder for your home and file a law suite. 3. Additional expense of building decks, patio, washer, dryer, garage openers, window treatment and list goes on to make a house a home. Sure that model homes looks gorgeous because it was professional decorated and now your house looks plain vanilla with out any topping. 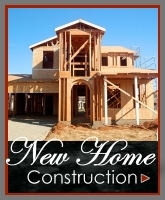 So do plan to include both decorated and must need expenses when buying new construction. 4. Location. Two cons about location, in the area like Fairfax county percentage of new construction is lot less then the surrounding county. Which means going away from work place adds to your commute & expenses related to the commute. Other drawback is that builders release few lots at a time, so if you want that cul-de sac you may not have a much choice either you wait for the lot to be released which means builder might have changed their pricing on the home or settled for the home sites that are available. 5. Price Fluctuation, we are seeing a upswing in the market. But in past couple years builder have marketed different incentives and reduction on the price of the homes. The buyer is committed to the price agreed at the signing of the contract so more renegotiation if the builder has better incentives to offer during the time of the construction. 1. Location, Location, Location!! Yes, buyer can be choosy and buy in the area they want to live in. 2. Most of the work is already done. Unlike new construction the basement is fully finished, fencing,deck, patio, window treatments, upgrades are done during the ownership of the existing owner. 3. You can be picky. On a condo, if there are 6 condos on the market you can choose what level, what view and what layout you like. 4. All amenities are all ready in place. So not knowing when the pool will be constructed, or how often the HOA/Condo association has raised their fees. Its easier to find out rather than on a new community everything is still on the paper. 5. Known closing dates. Buyers can typically close within 30-60 days on a resale home. Which means they can lock their interest rate, give notice to their current landlord or have time to plan out the move. 1. 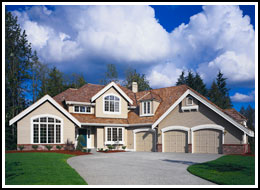 Realtors will highly recommend buyers to get the home inspection done for the resale homes. But buyers do need to realize they are buying a resale home and it may come with unknown repair cost of fixing things. Typically most cost go towards updating the kitchen, bath, flooring, roofing, HVAC, window and other items. The cost to repair or replace are significantly higher. Especially health & safety issues like lead based paint, radon or Asbestos in the home. 2. Not my style, this the biggest complain that we hear when Realtor's show home to the buyer. It may meet their needs of location but the home style is very old, traditional etc. Example a home built in 1970 in Fairfax County area buyers want a home with two story family room or a basement with the media room. Sure you can demolish the home and rebuilt it. 3. Negotiation Power. Builders may have more leverage to negotiate the options and the sales price compared to a home owner . Also home owners tend to become more emotional about repairs or pricing on their home versus builder who are detached and approach it as a business. 4. Special assessment or drastic increase in Condo or HOA fees. Yes, the neighborhood may have established amenities like great indoor and outdoor pools, gym etc but cost to maintain and keep up with that them is significant. In a condo building my buyers were thinking about purchasing, when they received the disclosure packet they read the minutes and discovered that the the pool needs to be resurfaced and estimate cost $15000, due to high delinquency rate the condo association has decided to vote for special assessment against each unit. So read the disclosure package carefully for any special assessment. 5. Resale value, if home is situated in the area that has potential of future new construction when reselling you will be facing tough competition from the builders who have newer products then your existing home. Its a challenge to decide whether to go for new construction or resale. What I have recommended my clients is to check out both and lay out the advantage and disadvantage according to their current economic standing. I have buyers who will only buy new constructions other see the potential of buying a resale at a lower price. Thanks Carole, I have quite a few buyers who get so confused between flashing model homes and quite resale homes.